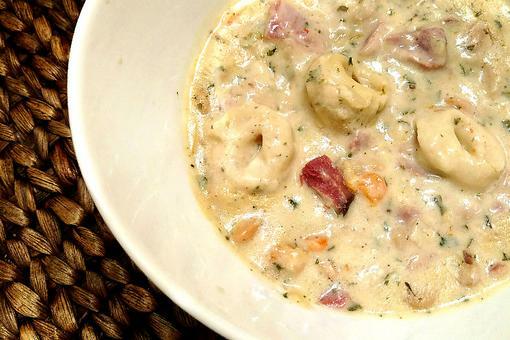 Chicken Vesuvio hails from Chicago, where 30Seconds founder Elisa All Schmitz calls home. 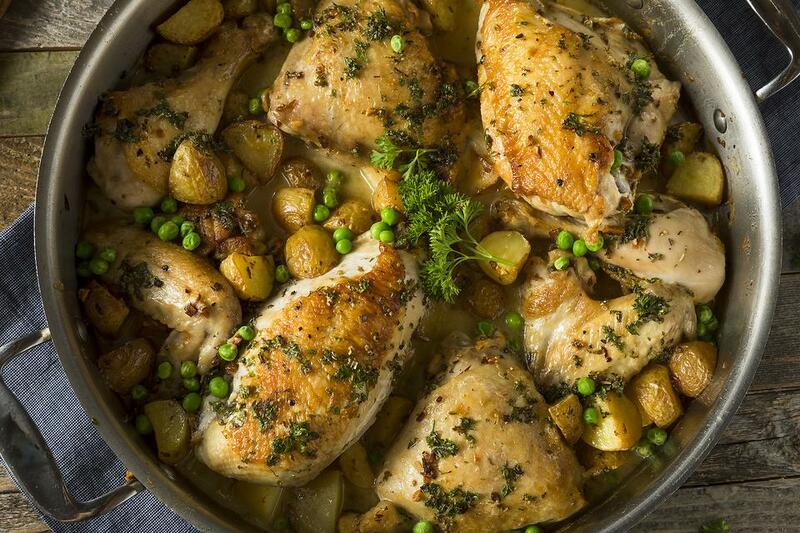 The dish is simply bone-in chicken with olive oil, white wine, potatoes, garlic, oregano and peas. According to DiningChicago.com, the origins of Chicken Vesuvio are "clouded in mystery," but "the likeliest scenario is that it was named for The Vesuvio, a Wacker Drive restaurant popular in the 1930s." No matter where it came from, this chicken recipe is comfort food at its finest. 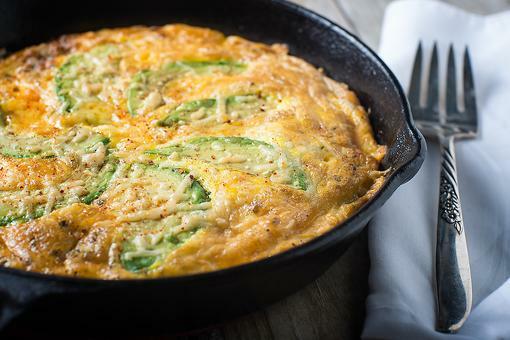 In an oven-proof skillet, heat the olive oil. Add the potatoes and garlic and cook until golden, about 10-12 minutes. Remove from the pan leaving the oil. Season the chicken with salt and pepper and add to the skillet, skin side down. Cook until skin is golden brown. Flip and brown the other side. Add the wine and chicken stock and simmer until reduced by half. Put the potatoes and garlic back into the pan along with the stock, parsley and oregano. Place in the oven. Bake in a preheated 325-degree F oven until chicken is cooked through, about 40 minutes, adding the peas during the last 5 minutes of cooking time. Season with salt and pepper. Serve. 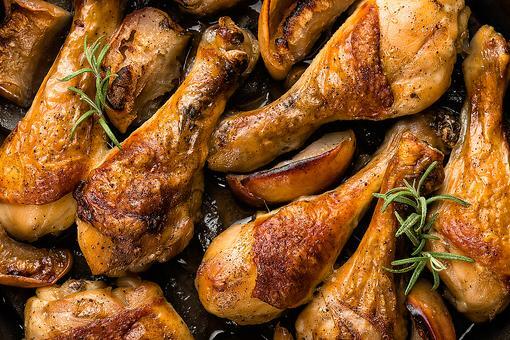 One-Pot Meals: How to Make Easy Chicken With Apples, Onions & Garlic! Herbed Spatchcock Chicken: There's Nothing Flat About This Flavorful Recipe!